Having a strong personal brand is important to your job search. Your personal brand is what you are know for — what people think of when they think of you. 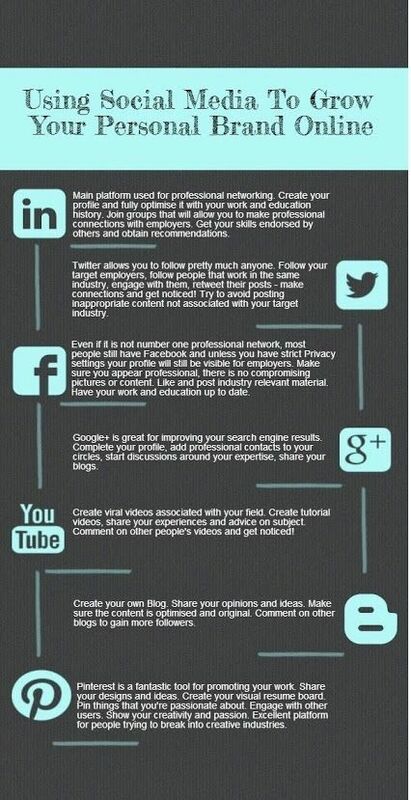 You can and should use social media to grow your personal brand online by using the advice in the following infographic.